So soft and gentle, perfect for a baby LO!! Love the bg paper! Isn't she precious! How precious! love the soft feel of the paper in this LO... goes with the dreamy feel of the photo. I love the pastel colors and the sweet photos! 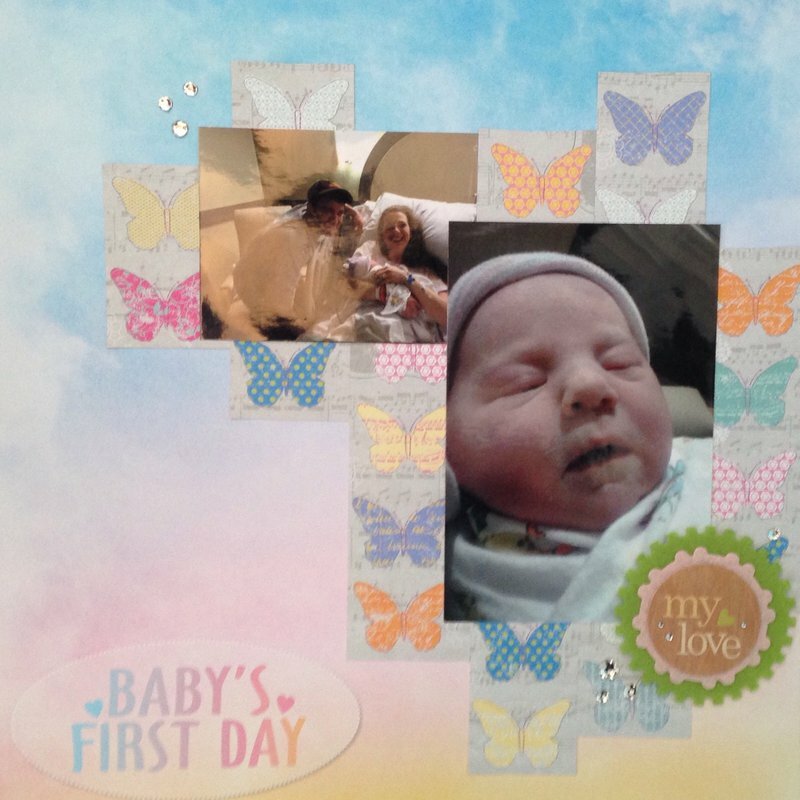 Darling first day photos and love the sweet butterflies! Adorable, soft, and pretty! Congrats! Gorgeous all around!! My favorite parts are the color transitions on the background and title. Aw wow, this is so precious! I love those butterflies. What soft and beautiful papers. Adorable.